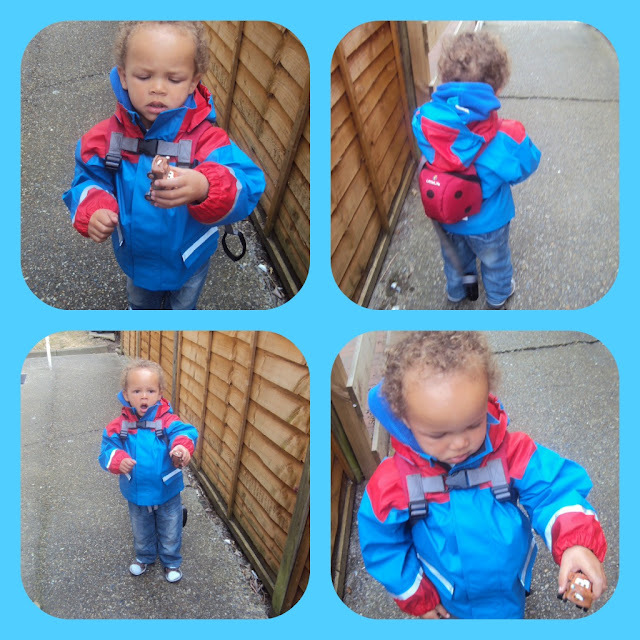 I bought Aaron a gorgeous puffy jacket, Thomas The Tank Engine, from Asda last year (I featured it on here at the time). Anyway I bought it in September and it saw him right through the Winter and still fits now. But the other day I fancied the idea of getting him a rain mac for those days when rain is threatening but it is not cold. I got this K Way one from TK Maxx, and it even came with dungarees (which he hasn't worn yet) for keeping his legs dry when he wants to jump in puddles. So where do you buys your boy's clothes and does your wee lad have a rain jacket?